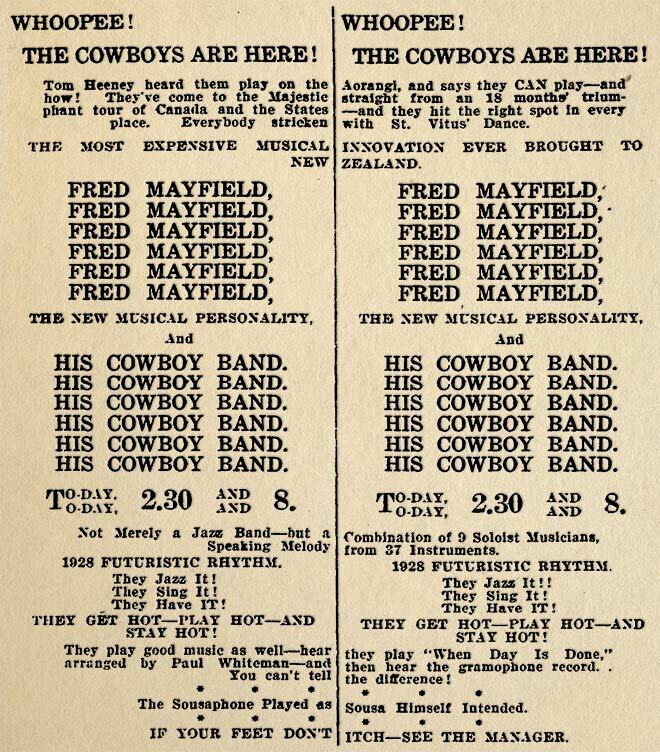 Fred Mayfield and his Cowboy Band, playing in Auckland in 1928, provided New Zealanders with one of their first experiences of live 'cowboy' music. Mayfield's band in fact played a range of music, including classical, jazz and dance music as well as their version of country. Playing to full houses, they dressed in cowboy outfits and performed in front of Wild West stage scenery.